Here is the Mattel 1:55 scale re-release of Mario Andretti from the original Cars! 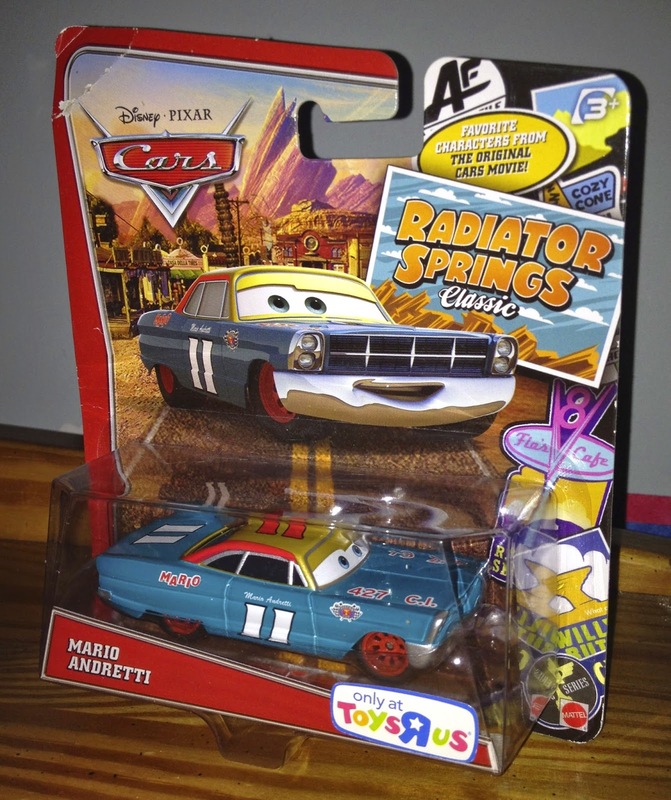 This release was available last year in the "Radiator Springs Classic" series- exclusive to Toys R Us. As seen in the screen shot above, Mario appears near the entrance of the Los Angeles Speedway (right before the big Piston Cup race near the end of the film). He's based on and named after Mario Andretti, a famous retired Formula One Nascar driver.